I can't seem to convert properly. Do I need special maps? My full maps aren't compatible with pearl. Im new to the modding community, do you know how to turn halo md into halo full? like get all of the campaign maps and such? 7pointactual wrote: Im new to the modding community, do you know how to turn halo md into halo full? like get all of the campaign maps and such? If you want to play or retrieve the campaign maps, I recommend obtaining Halo Full. How to obtain that I cannot help with. I recommend asking Google. As nil said, you will need to obtain the full version to get its maps. Sorry for reviving a dead thread but I want some help with Pearl. I've been trying to convert some Custom Edition maps from Halomaps.org, I have all of the Full campaign levels and multiplayer levels, is there something I'm doing wrong? ItsMeAustin wrote: Sorry for reviving a dead thread but I want some help with Pearl. I've been trying to convert some Custom Edition maps from Halomaps.org, I have all of the Full campaign levels and multiplayer levels, is there something I'm doing wrong? More details about whatever issue you're having would help. Also your system specs, as I have no idea how Pearl behaves on newer OS Xs. Anyway, whenever I try converting a map from CE, it works well up until the "meter" (don't know what else to call it) reaches the half way point and the conversion just fails. I also use a Macbook Air if that's relevant. What message does it give when it fails? What map are you converting? Also be sure that all the full version maps (including the stock bitmaps, ui, sound files) modified in 2003 are in your maps folder and you haven't moved anything accidentally to the Halo MD's Game Data maps folder or have a modifed bitmaps/sound/ui file not from 2003 in there. I have had problems in the past where I moved some full version maps from the Maps folder I use as the conversion point for Pearl 2 to Halo MD's maps folder and then Pearl 2's conversion subsequently failed as a result of me moving things around. Oops I forgot, the errors simply read "Map error" and "Conversion Failed", and they're separate ones too (the "Map error" one shows up first). HandofGod wrote: Also be sure that all the full version maps (including the stock bitmaps, ui, sound files) modified in 2003 are in your maps folder and you haven't moved anything accidentally to the Halo MD's Game Data maps folder or have a modifed bitmaps/sound/ui file not from 2003 in there. I have had problems in the past where I moved some full version maps from the Maps folder I use as the conversion point for Pearl 2 to Halo MD's maps folder and then Pearl 2's conversion subsequently failed as a result of me moving things around. I'm getting a bit confused now, so if all of my stuff is in this folder, what am I supposed to do? So what you need is two maps folders; one used for converting maps and the other is the maps folder for MD. In the folder for converting maps you need the map files from 2003. In ur MD maps folder you need bloodgulch.map, ui.map, bitmaps.map and sounds.map created in 2012. If you want to play the campaign you only need to move the campaign maps from 2003 into ur MD maps folder. If all else fails I have converted it for you. ThePolice wrote: So what you need is two maps folders; one used for converting maps and the other is the maps folder for MD. In the folder for converting maps you need the map files from 2003. In ur MD maps folder you need bloodgulch.map, ui.map, bitmaps.map and sounds.map created in 2012. If you want to play the campaign you only need to move the campaign maps from 2003 into ur MD maps folder. If all else fails I have converted it for you. 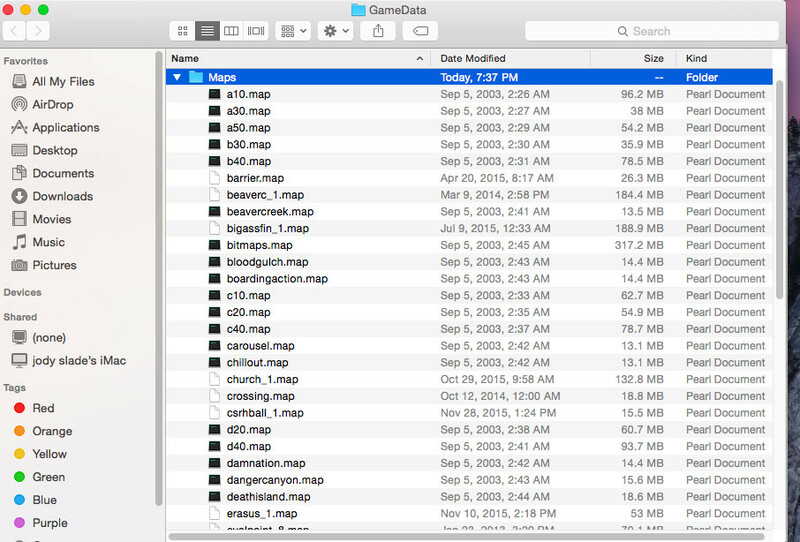 So, how exactly do I create a second folder for the 2003 maps? Also, I replaced my 2012 bloodgulch, ui, bitmaps and sounds.maps with 2003 ones as suggested by HandOfGod. I'm sorry if I've done anything wrong I'm just not very good at these things. Do you think you could PM me some kind of step-by-step process as well as replacement 2012 .map files as you mentioned? I also tested Huh What 3 which you converted, thanks alot.